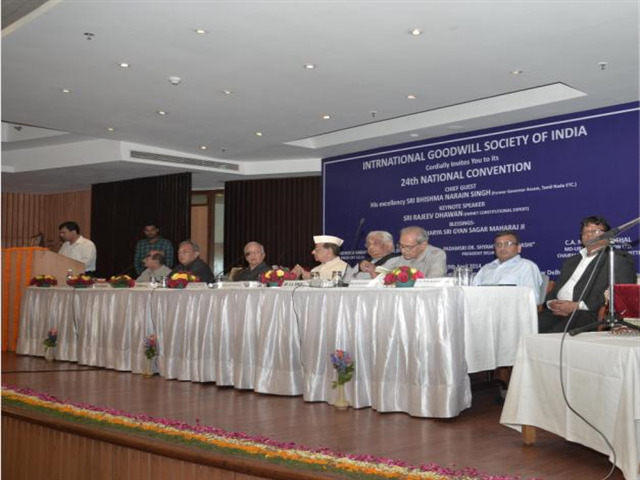 International Goodwill Society organized 24th National Convention at India International Centre, New Delhi on 19th April, 2014. H'ble Shri Bhism Narayan Singh, Ex Governor was the Chief Guest of the Event. Mr. Mukesh Singhal, CEO - URS graced the Ceremony and emphasised for the need of political reforms in the country. The program was attended by many eminent personalities.